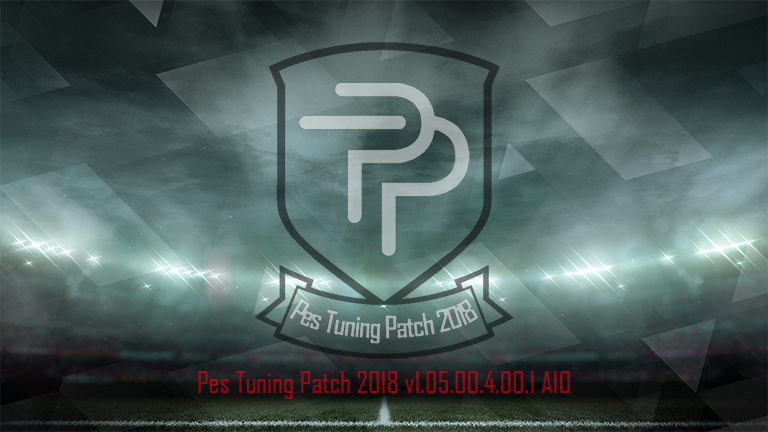 Patch PES 2018 Terbaru dari Tuning Patch V1.05.00.4.00.1 AIO – Berikut penampakan dan fitur patch PES 2018 terbaru dari Tuning Patch V1.05.00.4.00.1 AIO. - Includes lastest PES2018 Patch 1.05.00. - Includes lastest PES2018 Data Pack 4.00. - 2017-2018 Winter transfers: Imported from the latest KONAMI live update . - Boot: Added 100 new boots. (Boot Pack v4 by Tisera09). - Extra cpk: Added a easy solution to add your own extra mod (.cpk files). - Face: Added 565 new faces. - Fingertape: Added 2 new fingertape. - Glove: Added 100 new gloves. (Glovepack V2 by Tisera09). - Live Update: Latest live update (24/05/2018) fully implemented. - Minifaces: Added 1787 new formation pictures. - National Kit: Added new national kits. (All NT Kits Pack by Hawke). - Referee Kit: Added 6 new referee kits. (Bundesliga, Generics + UCL, LaLiga Santander, Ligue 1, Serie A TIM, more). - Scoreboard: Added 8 new scoreboards. (Bein Sports, Bundesliga, Copa del Rey, LaLiga 1 2 3, LaLiga Santander, Ligue 1, Serie A TIM, more). - Stadium: Added 1 new stadium. (Old Trafford v0.5 by CYPES) and fix Black Stadiums (Estadio Nacional de Chile and exterior and Emirate stadium day fine to day rainy). - Tattoo: Added 205 new tattoos. - Team: Added the 4 missing CL teams (Apoel Nikosia, Celtic FC, NK Maribor and Qarabag Agdam). - Trophie: Trophies Mod by Txak. - Controllor: Added new controller. - Fingertape: Added new fingertape. - Pitch: Added new Pitch And Turf. - Stadium: Added new one and fix Black Stadiums. - Trophie: Added new trophies.